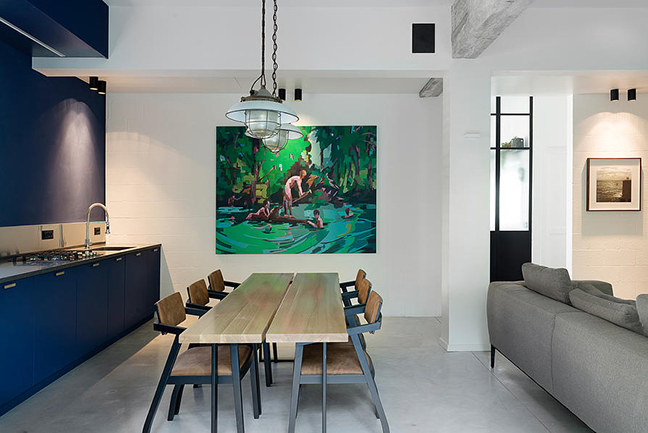 Main A Bauhaus Apartment in Tel Aviv Gets Renovated forward. A 75 square meter (approx. 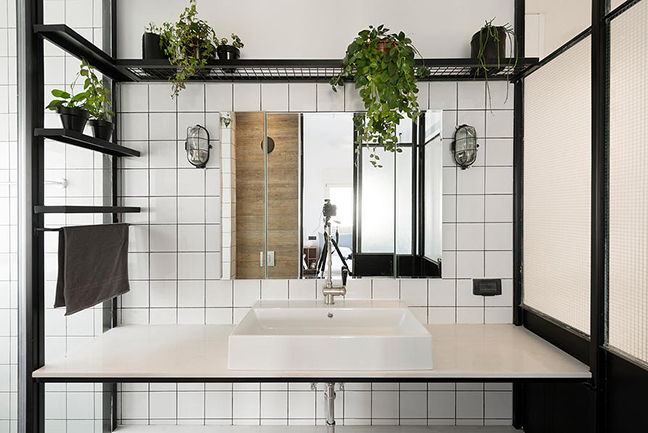 807 square foot) Bauhaus apartment in Tel Aviv was renovated by Raanan Stern for a businessman who works in two cities. The new design falls in line with Stern’s modern aesthetic and works well within the 1930’s building that’s undergone extensive renovations in recent years. The windows and doors were replaced with replicas of the originals that were installed over 80 years ago. The kitchen is now outfitted with rich blue cabinets and surfaces on one wall giving it a sleek, uniform look. It’s a nice juxtaposition to the concrete floors. 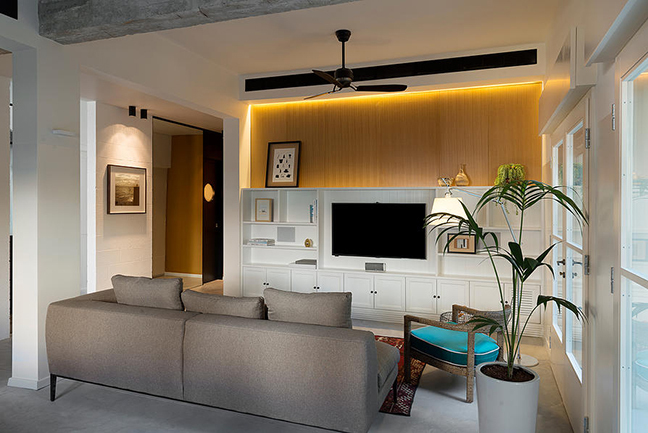 The exposed concrete beam divides the public areas between the kitchen and the living room. The bathroom utilizes thin, black metal and glass to allow light to filter in while still accounting for privacy. The metal continues to provide simple shelving.